Yes! 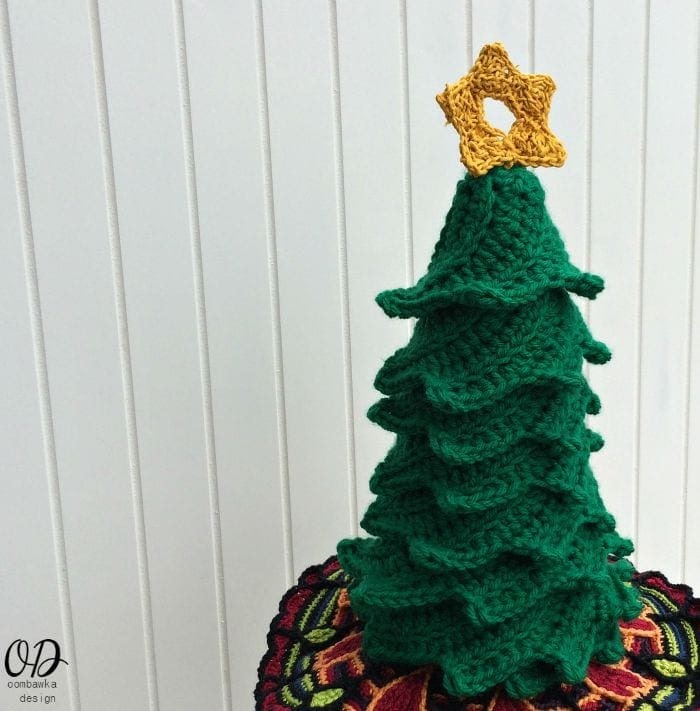 – this is my first Christmas Holiday Post for the year 2015…I have joined up with 3 other great Crochet Bloggers and we are determined to get ready for the Holidays Early this year! 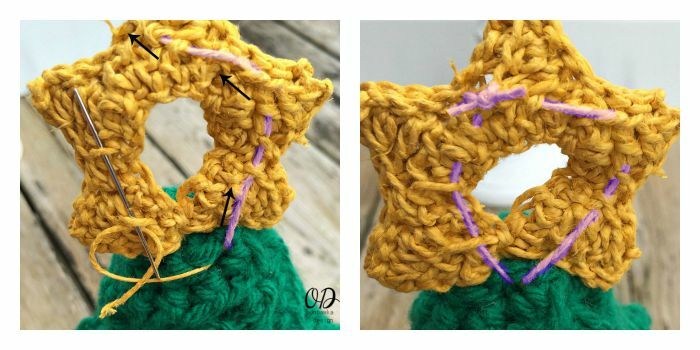 If you want to join us – feel free to follow along as we present you with 1 free holiday crochet pattern each week from now until October! 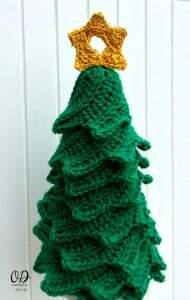 The event has been called the Holiday Blog Hop and you can find the schedule of events and links to posts on Mistie’s Blog, American Crochet. 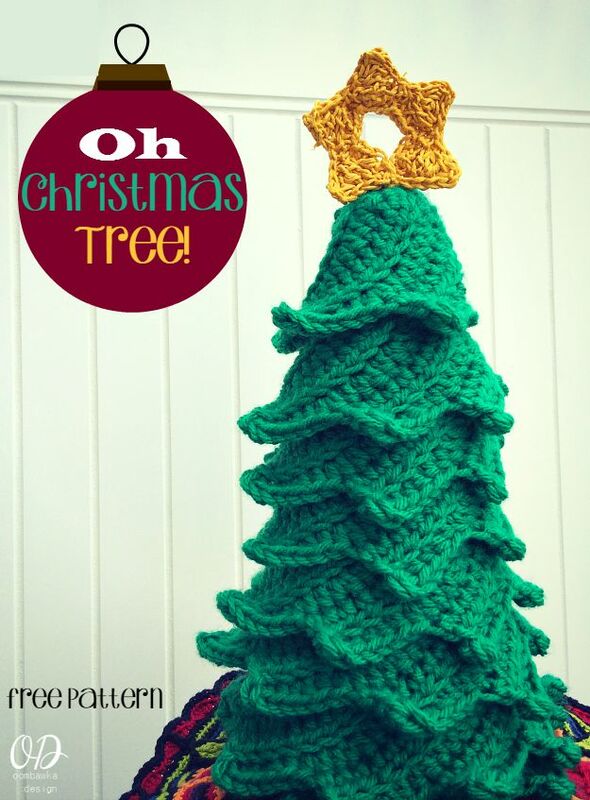 I have designed a Christmas Tree for you this week – I hope you like it. I came up with idea while I was designing a wrap pattern a few weeks ago (which is still a WIP by the way!) and am pretty pleased with the finished result. 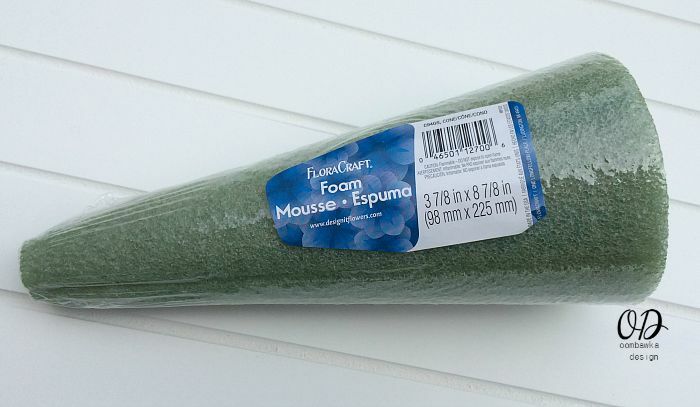 You can make this fit on the smaller sized cone too, or you can roll up some cardstock into a cone shape and use it as your base. You would only need to decrease (or increase) the repetitions to make it fit – which is super easy to do!! 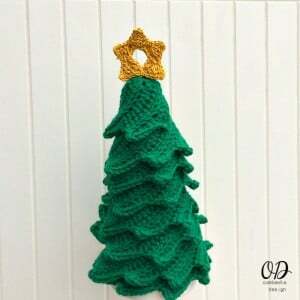 You can read the Introduction Post for our Holiday Blog Hop by following this link to American Crochet. 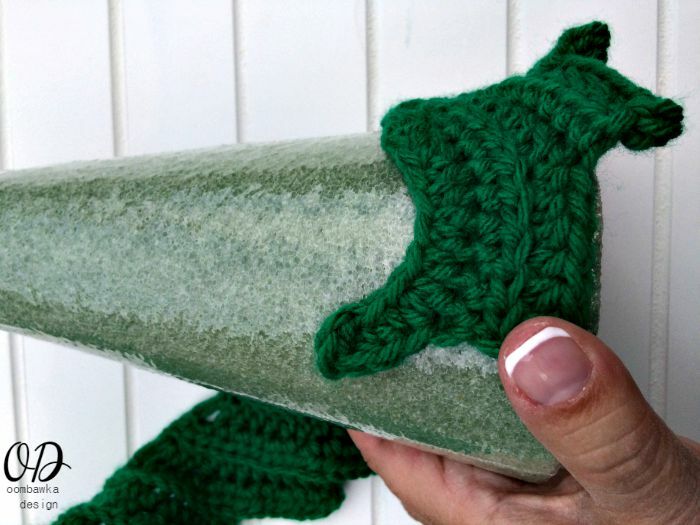 This pattern is worked flat and then assembled around a foam cone. 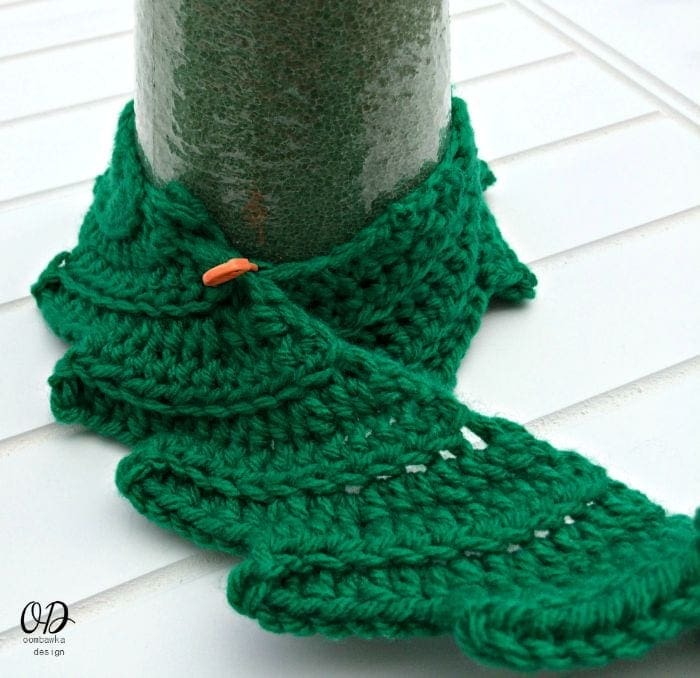 For the rest of this project you will be working in the back loop only for each stitch worked. REPEAT R3 and R4 for length desired. 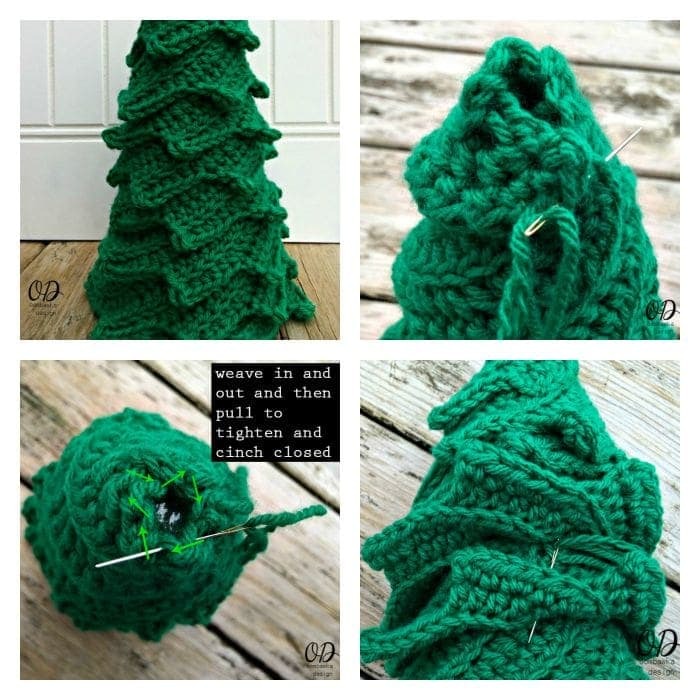 Once you have the tree in position on the cone take a length of green yarn and thread it on a yarn needle. 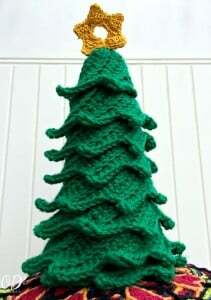 Beginning at the top of the tree, secure the top of the tree into place and then weave the needle in and out of the stitches on the top circle. Tighten (like you would when you finish the fingertip section of a mitten) slowly to bring the edges together and close the hole at the top of the tree. 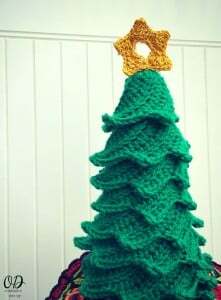 Now weave the needle between the stitches on one edge of the tree to secure it in position; working downward to the base of the tree. Secure the starting spot (previously pinned together) and finish off, weaving in ends. I only secured the tree on one side of the tree. You can do this on other spots too or the whole tree if you want to. This is just a rustic little handmade star that I am using on my tree at the moment. I wanted to purchase a small angel for the top but the shop in St. Jacobs where I used to go for my Christmas Ornaments has downsized quite a bit and only has a handful of Christmas items available. Next time I make it to Frankenmuth I am going to go hunting for some smaller sized angels, tree toppers and ornaments – I can’t wait! Leave a 5-6 inch tail and ch 5, sc in the 2nd ch from the hook, hdc in the next ch, dc in the next ch, tr in the next st.
*Ch 6, sc in the 2nd ch from the hook, hdc in the next ch, dc in the next ch, tr in the next st.** repeat from * to ** 8 more times. Now you have a long row of triangles on a chain. Fold the length in half matching up the last triangle and the first triangle worked so the WS are touching and the RS (good sides) are facing outwards. 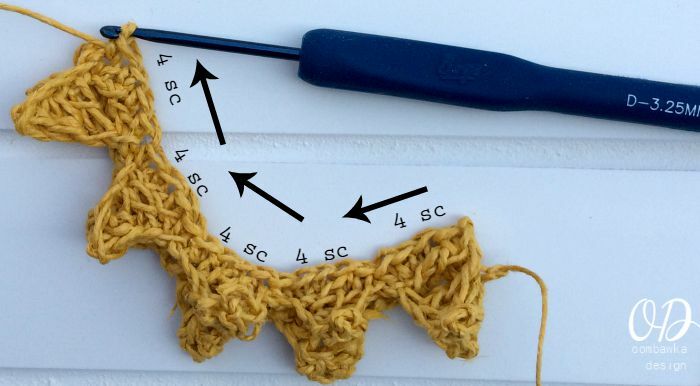 You are going to crochet the bases of the triangles together. Work 4 sc along the base of each triangle through both layers. You will have 5 triangles in total. 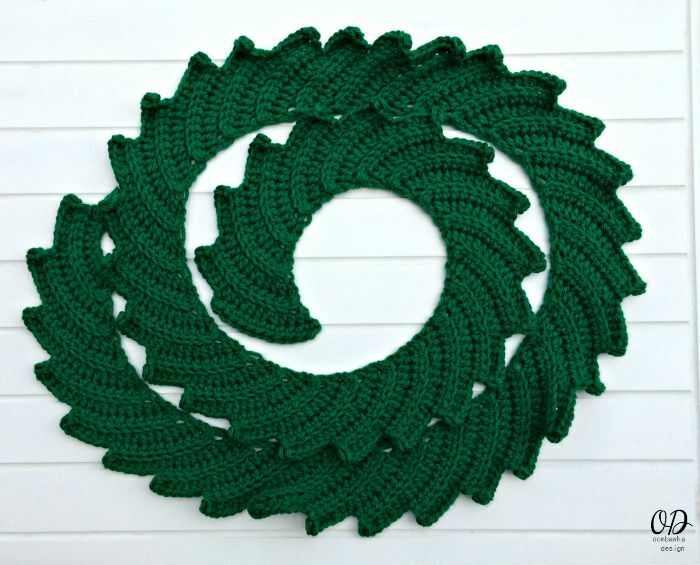 You are going to crochet through both touching triangles to join them together along the edges. *Work 3 sc along the side edge, ch 2, work 3 sc along the side edge. Skipped the other stitches. ** Repeat from * to ** 4 more times. Sl st to the corner. Now bring the 2 ends together and sl st them to form the shape of a star. 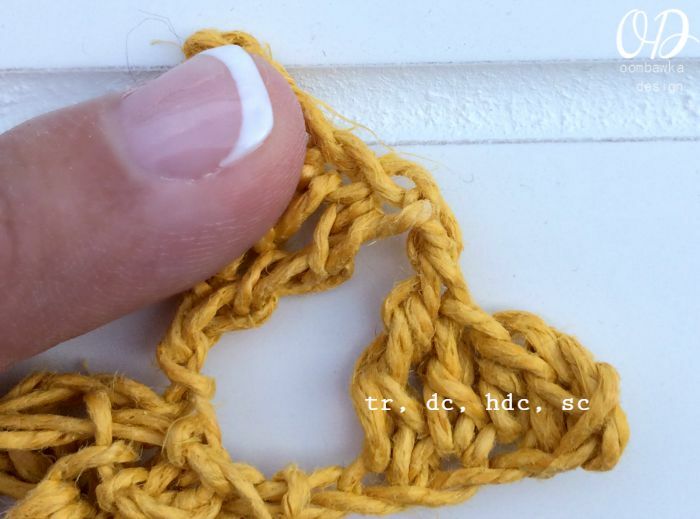 It will not be completely flat but this waxed fiber stretches out after a while so feel free to work it into the shape you want with your fingers. Finish off leaving a 5-6 inch tail. 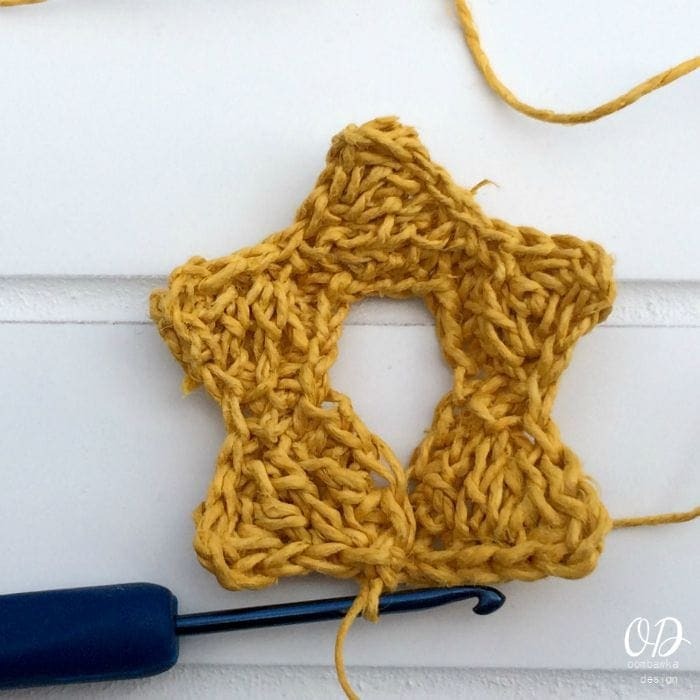 Now this is how I stuck the star on – you can do it any way you want – glue or a toothpick – I chose to just stitch it right on there with the waxed fiber. First I popped the ends through the top closed center of the tree and then out the back between 2 stitches. I wove one end up one side of the star and the other end up the other side of the star and tied them together in a double knot and cut off the excess. You can barely see it and it worked like a charm! 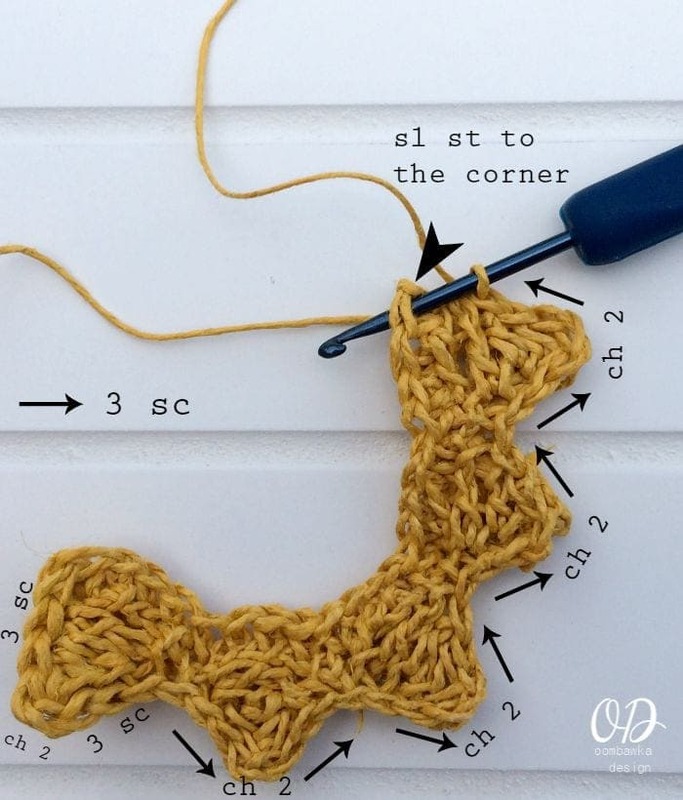 Currently making this very easy pattern. Thank you so much for sharing it. Am hoping to get a few done in different sizes/colours for presents. Wishing you a happy and peaceful Christmas from Sydney. I saw this on G+. I guessed that it might be one piece in a spiral and it looks like I am right. So clever. After you use for the holiday’s just wrap it around your neck for a scarf. It’s a beautiful little tree! We’re in a little space and it’s going to be perfect for this Christmas! Thanks for the pattern! 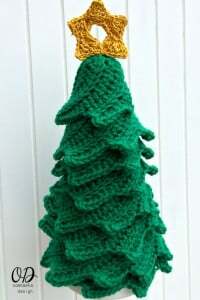 Love the tree, simple yet practical, just what I need. Any chance of the little mat it’s sitting on as a freebie as well ??????? please ?????????. I know I sound greedy, but I love the colours of it, and it looks just right for the tree. If not a freebie, can you show me where to get it from ?